My husband and I have two grown daughters, Eriel and Shaina. They have often commented that they can “never find anything” with their names on it. As much as they appreciate having unique names, now that they are older, they still like to look for items bearing their names. 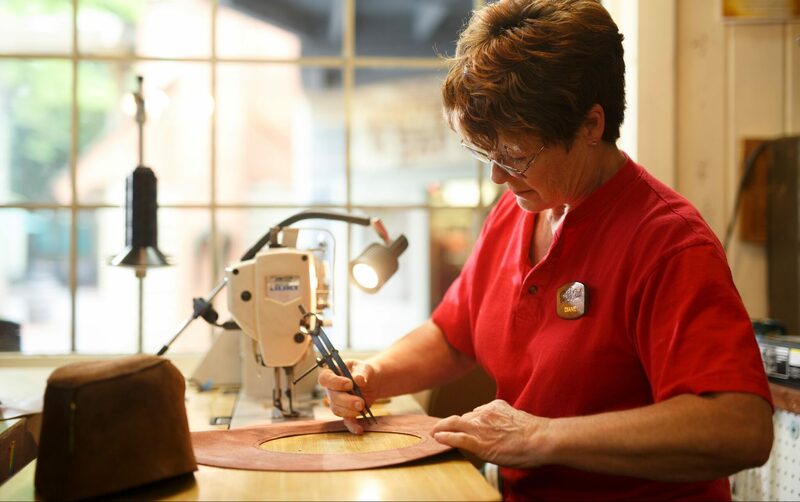 Dollywood is one of the places we can always count on for keepsakes because they are able to personalize many of their products. First stop: Craftsman’s Valley. 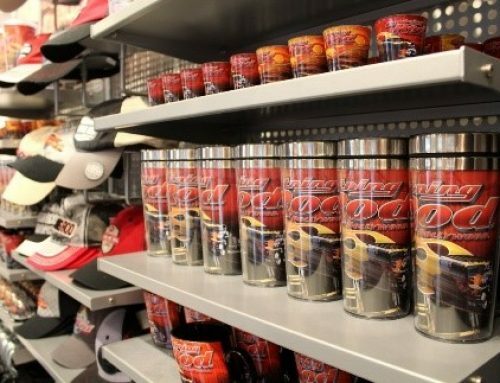 Just between Blazing Fury and Tennessee Tornado, an airbrush artist, at Kaman’s Airbrush Shoppe, is ready to personalize something special just for you. When our daughter Shaina got her first car, she “needed” it to be personalized. 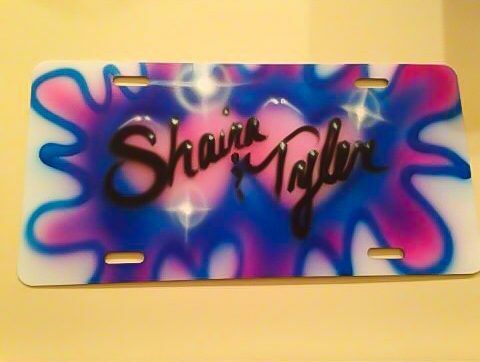 So, on the next trip we took to Dollywood, she purchased a license plate airbrushed with her name, and her (now) fiancé, Tyler. Ahhhhh, young love! 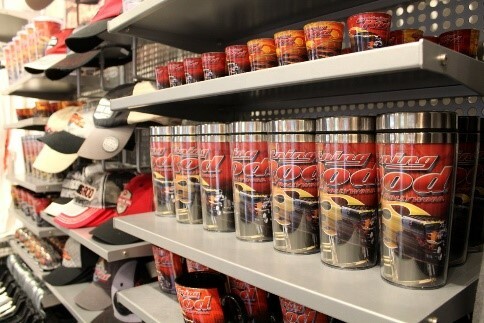 The airbrush artist also creates shirts and hats for those who prefer clothing over auto accessories. Kaman’s also creates custom caricatures. Look for this opportunity near the front turnstiles and near Wings of America Theater! When the girls were smaller, we would do an annual Christmas shopping trip. To commemorate each trip, we would get an ornament from Dollywood. We have purchased several over the years. We always have them personalized and dated. 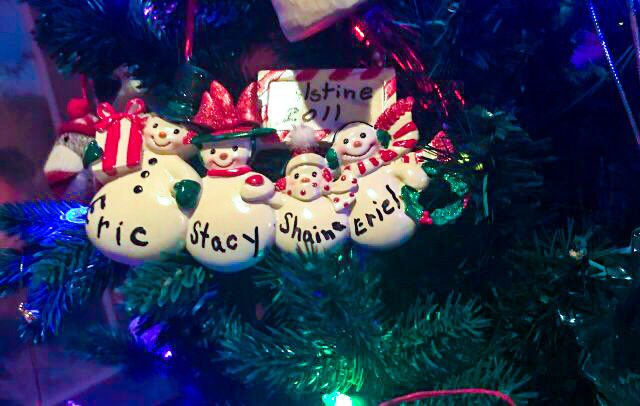 When our older daughter, Eriel, married and moved to her own home, she took her personalized ornaments with her and they now adorn her tree. Shaina will be doing the same when she gets married next year. The ornaments representing our family of four will continue to hang on our family tree each year to remind us of the many fun trips we have enjoyed together. I recommend you start a tradition for your child or grandchild and grab a special ornament from each place you visit. It gives them a nice “starter set” of ornaments when they are grown, and, they are nice keepsakes. Adding the names and dates make it extra-special and extra-personal. 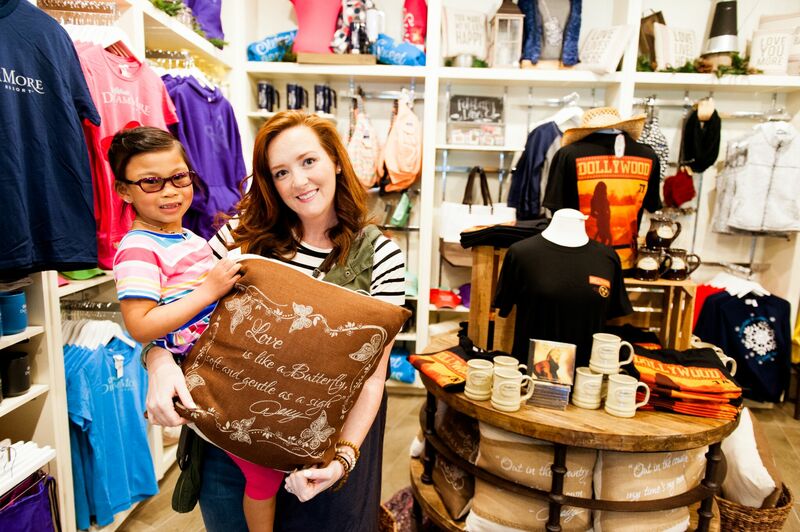 Find these mementos year-round at the Christmas Shop in the Rivertown Junction section of Dollywood. 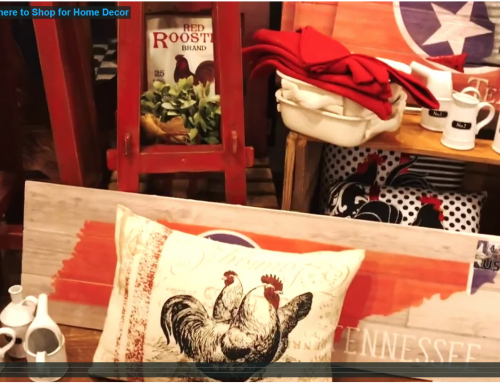 Looking to finish your décor with something unique? 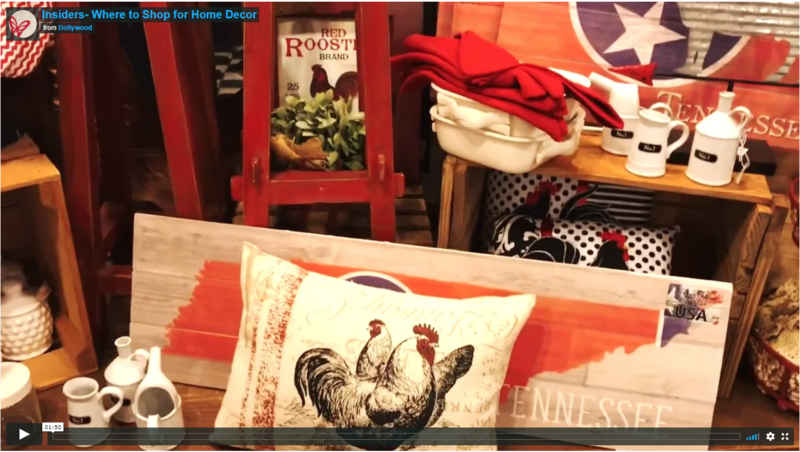 Stop by the Tin Signs Shoppe in Rivertown Junction. Everyone needs to know that it’s Grandpa’s Garage! 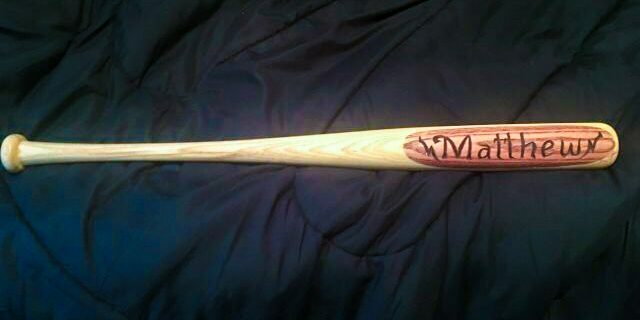 When I was looking for a unique gift after the birth of my nephew, I found it on another trip to Dollywood: a wooden bat carved with his name. He is now 16 and still has it in his room. If you have a sports fan in your life, you should check it out. They make a great keepsake. 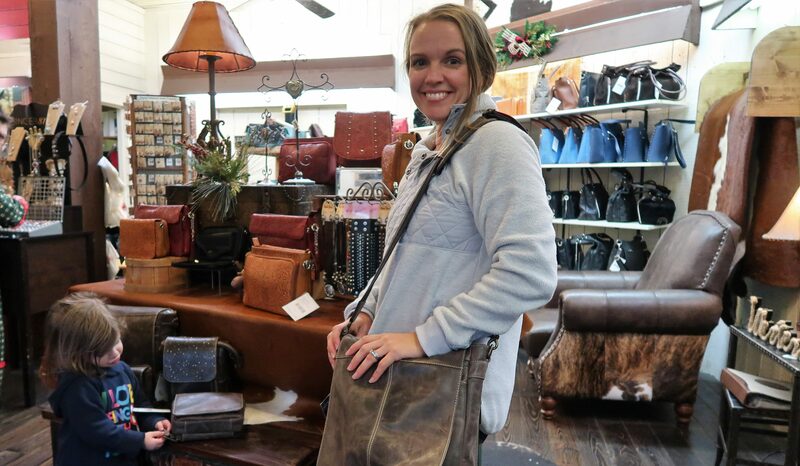 Or, how about a customized bracelet, belt, or wallet from Smoky Creek Leather? These make great gifts and the artisans will work on your special item while you have fun in in the park. You can find the bracelets at the Gazebo in Market Square and the merchandise shop by Mystery Mine. While you’re looking at bracelets, you may also consider personalized name necklaces. Look for vendors who can help you with this kind of gift at the Wired Up Names booths in Market Square and Timber Canyon. 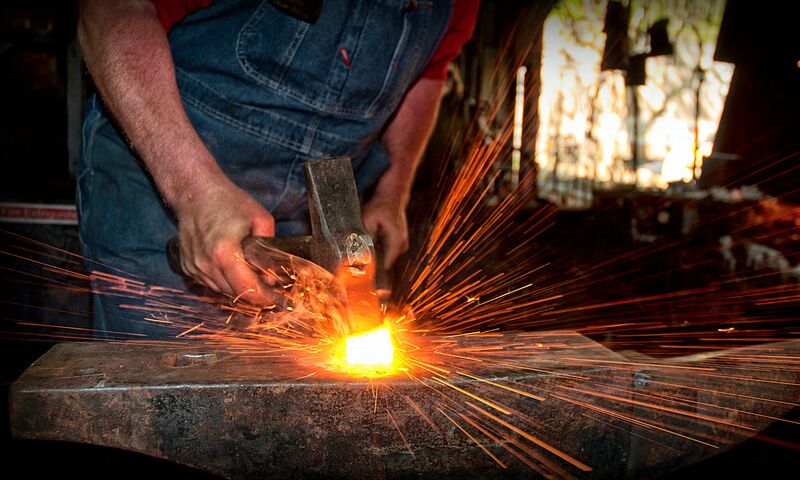 Don’t forget to stop by the Blacksmith & Foundry for a customized metal gift. Perhaps you’d like your family initial to hang on a front door or a gate, or maybe you’d like a custom sign for your home or office. The blacksmith isn’t the only one who can customize his work. 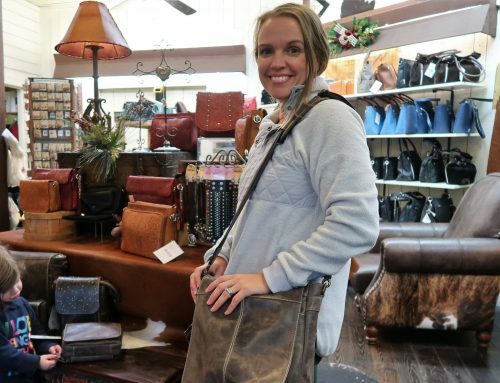 You can have items made with your specifications in all the Dollywood craftsmen shops—blown glass, leather, woodcarving, candles. 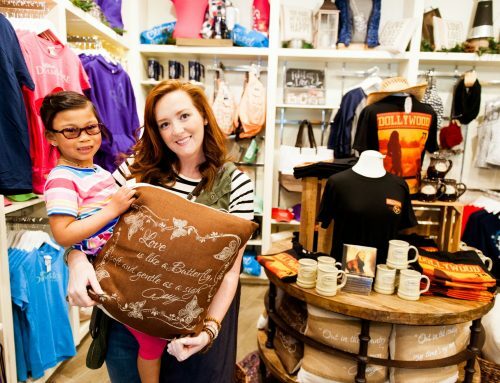 Coming from a mom who understands how important it is to find items with your kids’ names, look no further. Dollywood has your back!